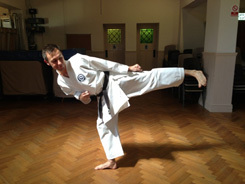 Jason Andrews started training in June 1991 at a small dojo in the village of Fulbourn near Cambridge. He was awarded his first grade of (8th Kyu) in November of that year from Sensei Andy Peters at the Wado Karate School Cambridge. He trained hard and attended many competitions around the country gaining experience (and some trophies!) wherever possible. In March 1996 he was awarded 1st Dan Black Belt and started teaching in Burwell. Continuing to train with the W.K.S he was awarded 2nd Dan Black Belt in June 1999. In June 2001 he broke away from the W.K.S and started the Burwell Karate Association which to date has over 100 members, and in 2011 he acheived his 3rd Dan. 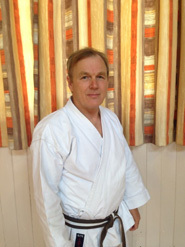 Steve started training in 1987 under Sensei Andy Peters. 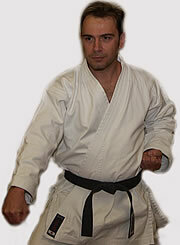 He passed his 1st Dan black belt in 1992, 2nd Dan in 1996 and 3rd Dan in 2011. His dedication to karate has continued over the years and his passion has not changed. He has given tuition to many aspiring students over the years - which has earned respect from all in the BKA. Daniel has been training since 1991. He has supported the BKA since its beginnings. He passed his 1st Dan in 2005 and his second Dan in 2011. Daniel being head student in a class and also as a competent instructor sets the standard for all. Lianne has trained with the BKA since she was a young child with her siblings Ryan, Rachel and David. 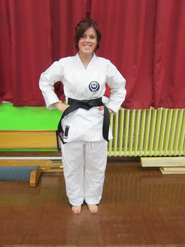 However, Lianne continued to train into her adult life and in 2011 achieved her 1st Dan black belt. She now teaches the Monday evening class. Richard has been the chairman of the BKA since its forming in 2001. He takes responsibility for all financial matters and all organising - from booking halls to ordering clothing, from paying the bills to licensing the members - Richard does it all for the club. His 4 children have all trained over the years and of course his daughter Lianne is the resident instructor at the Monday training session. 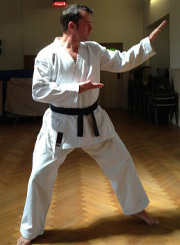 Richard has also somehow found time to reach 1st kyu level within the BKA.